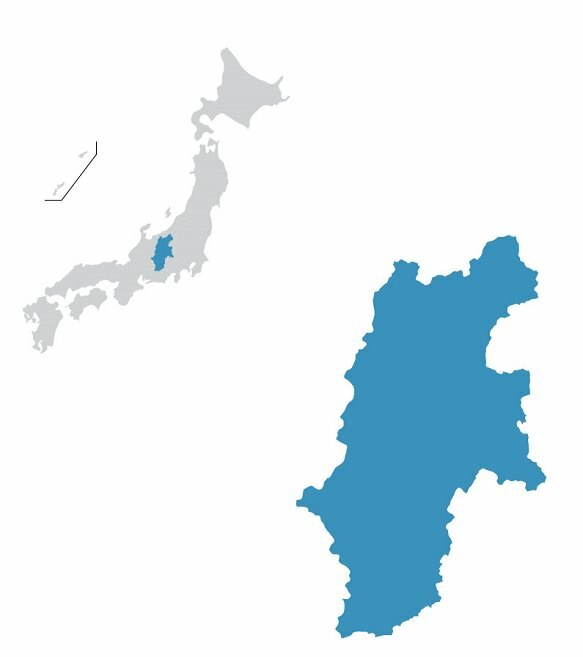 Nagano Prefecture is a mountainous area in the Chubu region and due to its mountainous nature, it does not have that high of a population relative to its land area. 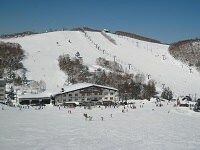 Its mountain resorts and hot springs make Nagano a popular tourist destination for those seeking to appreciate nature. 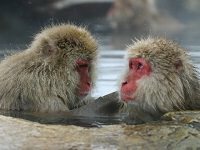 The Jigokudani Monkey Park in Yamanouchi is one of the many unique sights that attracts tourists. 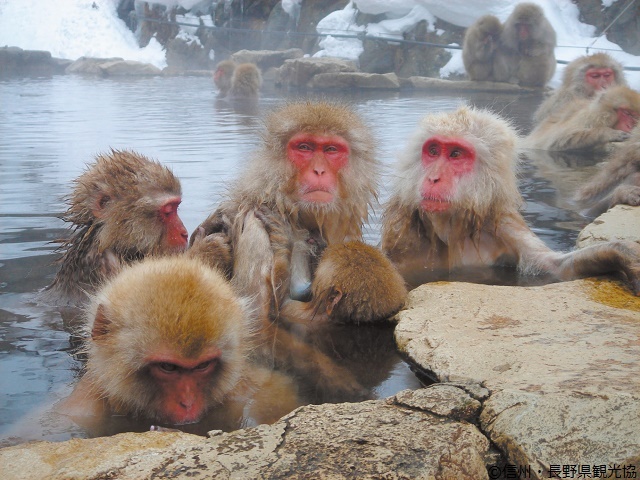 At Jigokudani (Hell Valley), snow monkeys bathe in the hot springs, a rare sight you cannot witness elsewhere. Matsumotojo, or Matsumoto Castle, is another highly visited tourist site. 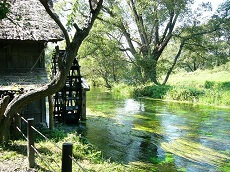 The castle's tower, a 5-story, 6-layer tower built in the Bunroku Period (1593-1594) is Japan's oldest existing castle tower and is designated as a national treasure. 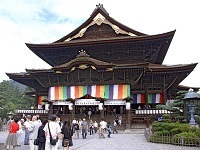 A popular temple worth visiting in Nagano is Zenkoji Temple. It has much historical significance, being founded in the 7th century, and stores the first Buddha statue brought to Japan. 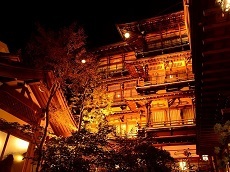 The influence of Zenkoji Temple on the city of Nagano was significant. 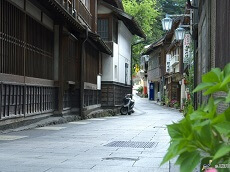 The city grew from a temple town, and specifically, around Zenkoji. Unfortunately, the original statue is not open to the public but a copy of the statue is shown to the public every six years. 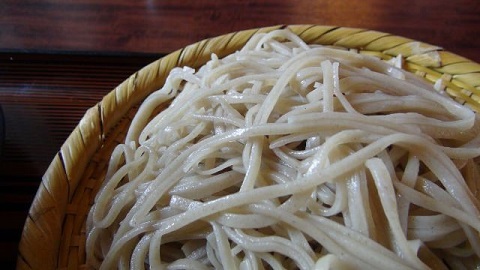 One of Nagano’s most popular local dish is soba, buckwheat noodles. 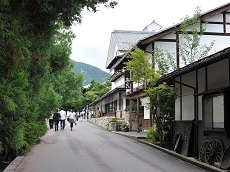 The soba in Nagano is known as Shinano soba or Shinshu soba, which refer to the same kind of soba. 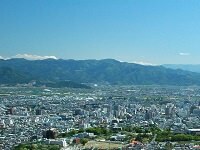 Shinshu refers to the Shinano province which was former Nagano prefecture. Soba, especially those from Togakushi, are known to be one of the best kinds of soba in Japan. 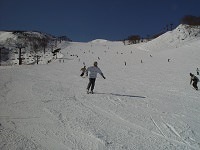 Another popular dish in Nagano is “oyaki”. The traditional Nagano dish oyaki is a steamed or broiled vegetable stuffed bun made from fermented buckwheat dough. The stuffing can vary from vegetables, fruit, and red bean paste. A popular kind of oyaki is the nozawana oyaki, buns filled with pickled greens. Oyaki is first roasted on an iron pan, then steamed or broiled. 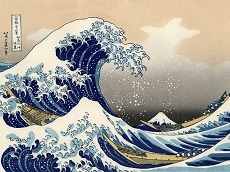 Kiso shikki is a type of lacquer ware that has been produced in Nagano for approximately 600 years. 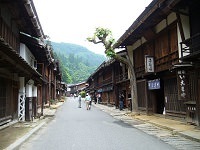 Kiso is an area of Nagano and "shikki" refers to lacquer ware. 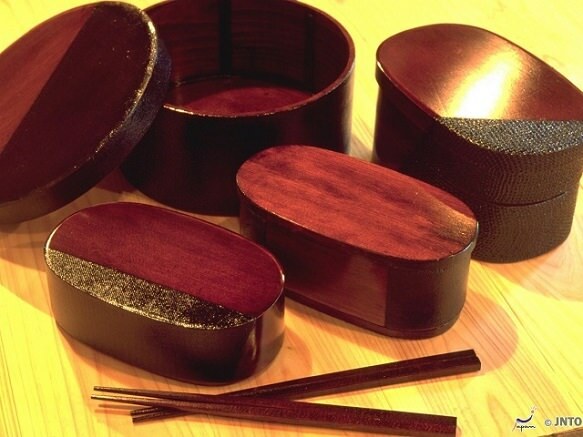 Kiso lacquer ware is found in everyday objects including bowls, trays, lunch boxes, and tables. 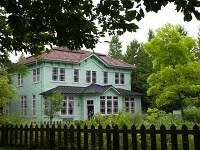 The finished product features several layers of beautiful lacquer colors and durability. "Shinshu Nokogiri" is a type of saw that has been produced in Nagano Prefecture for over 200 years, since the Edo Period. Shinshu Nokogiri is used nationwide, favored for its sharp and sturdy blade. 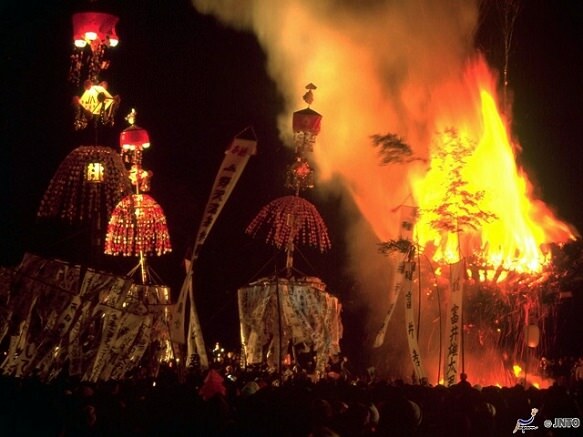 Nozawa Fire Festival is among Japan's top three fire festivals. Every January, men of the age 25 and 42 take stage and lead the event. 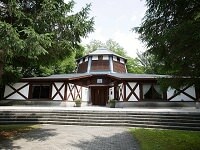 Prior to the event, wood is cut down and a large tower is built, which is called a shaden. 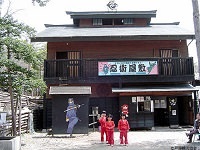 The 42 year olds sit at top and protect from above while the 25 year olds stand guard at the base as the spectators, try to break through the guards and light the wooden shrine on fire. In Japan ages 25 and 42 are considered unlucky, so they believe that by participating in this event and winning the battle, they can purify their bad luck for the year. The lively battle can last up to four years and ends with the defense team giving up, due to excessive attack by men of all other ages. As if all the fire, charging, and shouting weren't enough, most of the participants and spectators usually drink a good amount of sake, getting them more excited and pumped up for the battle.